Amandla Stenberg attends the 2019 Vanity Fair Oscar Party hosted by Radhika Jones at Wallis Annenberg Center for the Performing Arts on February 24, 2019 in Beverly Hills, California. Amandla Stenberg styled her dress with black lace-up boots by Tabitha Simmons. 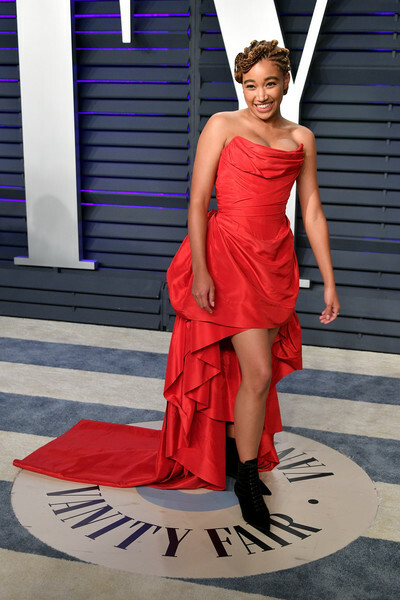 Amandla Stenberg made a sassy choice with this strapless red fishtail dress by Vivienne Westwood Couture for the 2019 Vanity Fair Oscar party.